This is a great tea to enjoy with our cleanses and kits. 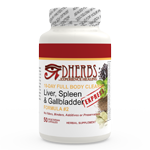 Liver & Gallbladder Formula is comprised of a powerful combination of plants that have been formulated to work synergistically in helping to support and stimulate the body’s natural function of both the liver and the gallbladder, helping them to cleanse your body. * Vegetarian capsules (50 capsules). What's the difference between the 10 Day Full Body Cleanse Express and the Full Body Cleanse? Whereas the Full Body Cleanse places a major emphasis on cleansing the major filtering organs of the body (liver, colon, kidneys, and lungs)and other bodily systems, i.e. blood and lymphatic, the 10 Day Full Body Cleanse Express only focuses on the Blood, Liver and Colon and provides a supplemental tea to help with other organs. Since the Express Cleanse is only 10 Days, it's not as beneficial as its 20 day counterpart but is still an effective cleanse. Also if you have never done a cleanse, it is a great starter cleanse. Is there a diet to follow and if so is it included with the plan? How many pills are required to use? I am a Type 2 diabetic should I be doing this plan? You can drizzle on salad dressing made of cold-pressed oil and/or freshly squeezed orange juice. Pair with freshly-made vegetable juice containing mostly green veggies. Remove from freezer, set on counter for 10-15 minutes and then whiz in a food processor until smooth. Add agave if needed. Diabetes is a condition that is directly related to the diet you've kept over the course of time. The regimen and the diet for the cleanse helps to recondition your body, helping it distinguish the difference between refined sugar and sugar from a natural source. We recommend moving on to the Pancreas Cleanse and Regimen to specifically help address diabetes and the organs it affects. I am a former breast cancer patient who is currently taking Tamoxifen. I was wondering if any of the ingredients in the 10 day cleanse will have an adverse reaction with the Tamoxifen? The Cleanse is still safe to do as a person who takes medication. We don't recommend taking medication while on the cleanse, but the decision is yours to make. . The cleanse includes activated charcoal, a major part of the detox program, that helps pull out heavy metal toxins and drugs from your body. Most medications are recognized by the body as chemicals and is pulled from your system. 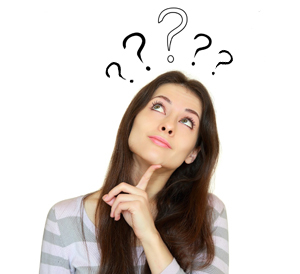 If you do decide to take the medication while on the cleanse, please contact us directly at 866 434 3727. Is this cleanse ok to take while beeaksfeedinf?? No, the only product we recommend while breastfeeding is the 10 Day Electric Green Combo Regimen. Can you eat meat while doing this cleanse, if so what kinds of meats? This is a raw vegan diet consisting of fresh fruits, fresh vegetables, raw nuts, raw seeds. Your beverages will be Alkaline Water or Distilled Water and herbal tea. You are not to eat meat, dairy or processed foods. Yes, the herbs will cleanse the liver and spleen. Hello! Are you allowed to drink wine on the weekends with the 10day body cleanse? No, you cannot consume any type of alcohol while cleansing. You're detoxing all of your major organs and only consuming foods that provides a benefit to your body. Hello. Does this product come in the liquid form, like the 20 full body cleanse? Unfortunately we do not have the liquid extracts available for the 10 day cleanses. Please know that the capsule formulas are always more potent than the liquid extracts. I just purschased the 10 day cleanse. Can I drink smoothies durning the 10 days? Yes, you can consume smoothies while on the cleanse. They're a great way to consume multiple nutrients in one sitting. You can have any fruits, vegetables, nuts and seeds of your choice, transformed and prepared however you like. Just be sure that it's raw and within the limits of the diet. We always recommend visiting our recipe section for smoothie and meals ideas. Feel free to click on the link below. If I purchased the teas listed for the formulas that are offered instead of the 10-day express cleanse would I receive the same benefits? No, the capsules are more potent and produce better results than just consuming the teas. You can’t expect to achieve better health or lose weight eating the same foods that contributes to the issues which is why all of the cleanses require you to keep a raw food diet. The raw food plays a major role in achieving results and the overall cleansing process. Do I need to take off work to do this or is the first couple of days I need to be in the house. We recommend starting the regimen on a Friday or when you have two consecutive days off, to monitor your body's response to the cleanse. The cleanse does not keep you running to the bathroom, but you can expect an increase in how many times you use it due to how much water you’re consuming. You can expect bowel movements in the morning due to the colon formula being the last supplement taken at night. Otherwise, your bowel movements are related to what you eat over the course of the day. What is the difference between the 10 day and the 20 day cleanses? Whereas the Full Body Cleanse places a major emphasis on cleansing the major filtering organs of the body (liver, colon, kidneys, and lungs) and other bodily systems, i.e. blood and lymphatic, the 10 Day Full Body Cleanse Express only focuses on the Blood, Liver and Colon and provides a supplemental tea to help with other organs. Everything you need is within the foods of the diet. You cannot consume anything that's unnatural which is exactly what energy drinks are. You can eat as much as you like in order to sustain your energy and to not be hungry. Raw foods that provide the best energy source include: banana, spinach, citrus fruits like grapefruits and oranges, apples, almonds and lemons. You can also incorporate the Energy Formula into your regimen.